Characters. Three people, two female, one male. One of the females bragged to the others about her fellowship. Made it clear she wasn’t a Teaching Assistant, which meant the college thought her brain was more valuable than that. She would be working in a lab doing research. The young man never said a word to the two women, but he leaned toward them, obviously interested in what they had to say. Maybe he had a crush on the younger woman. Cadence and/or dialogue. One discussion was the European health care system vs. the US’s. The back and forth taught me how quickly the conversation can change when one person shows up another. How questions work to undermine grandiose statements. Humorous beginnings for articles. I could take this conversation and use it to begin an article on how I used to be just like that gal—and thought I was knew a lot when I was in my early twenties. Now that I’m in my sixties, I realize how much I don’t know. She will face that moment too. Insights into people. Listening to conversations give you insights into people that you won’t get by reading books, or watching movies, or even having conversations with your friends. Dialogue in books are well orchestrated. And when involved in a conversation with your friend—you are too close to see what’s going on. It’s much more instructive to listen to other people’s conversations—to learn from an impartial point of view. This entry was posted in Christian fiction on August 31, 2013 by Judy Bodmer. The montage is a way to show the passage of time. It’s a rapid use of images to show days, weeks, or years passing in the life of your story. In movies you might see calendar pages falling, or a series of newspaper headings, or a tree with the seasons changing from fall to winter to spring. Example: Mary wandered down the street of her home town. In the second hand store window, she spotted an old camp stove, reminding her of the trips she and her husband used to take up to Lake Coeur d’Alene. She entered and poked through bins of faded postcards, shelves of old glassware, toys children had played with and now discarded. In the back she found a rack of old dresses and tried a couple of them on, her image in the mirror bringing a rare smile to her lips. How much she looked like her mother. A clock bonged and she glanced at her watch. Where had the afternoon gone? She was late. Example: John planted his garden in early May after the last frost. All spring and summer he enjoyed the fruits of his labor, but before he knew it, he was picking the last of the tomatoes and squash. This entry was posted in Christian fiction on August 18, 2013 by Judy Bodmer. John hit the elevator button, stepped into the car, rode down two floors. He strode through the lobby and out into the street. He walked quickly down Elm, turned on Vine, and waited patiently at the stop light. When it turned green, he stepped out onto the street, crossing over onto the 44th. He entered Walgreens. Whew, that’s a lot of work to move my character from point A to point B. What if I need to get through a week? A month, or five years. How do I fill in all that time? John hurried to the Walgreens a few blocks away from his apartment. Joan worried about her family as she watched the miles fly by out the window of the bus. By the time the baby arrived . 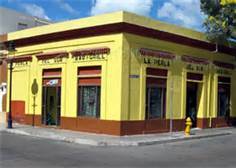 . .
John hit the elevator button and few moments later was at the Walgreens down the street. In spite of this . . . This entry was posted in Christian fiction on August 10, 2013 by Judy Bodmer. Have you considered adding a symbol in your novel? Some of the best novelists (and nonfiction book authors) use them to add depth to their stories and to their characters. What exactly am I talking about? A symbol can be a living thing like a butterfly, eagle, or an old oak tree. Or it can be an inanimate object like a family home, a seashell, or a precious stone. Throughout the story the object takes on a meaning larger than itself. It adds layers of emotional meaning that otherwise you’d have to explain. And it can be useful in showing depths of a character’s personality. 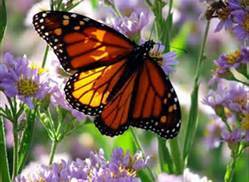 A butterfly can represent beauty and strength. The fact that a butterfly must struggle to get out of its cocoon or it’s forever damaged is often used to show that people sometimes must struggle in order to grow. Recently I read a book where the butterfly was used to demonstrate captivity through the eyes of a wife whose husband was a collector. Her abusive relationship was slowly revealed and likened to how he pinned his butterflies to a mat. In the book Beloved, Toni Morrison used a ghostly baby to represent a woman’s guilt over the killing of her own child. Throughout the novel the apparition grew larger and more horrific and damaging. When the main character received forgiveness, the ghost totally disappeared. Another author used her husband’s overstuffed chair in a true story of a widow’s journey. She began by showing how much the chair meant and ended by showing the day she sold it as a symbol of her healing. Avoid clichés like red roses meaning love, seasons denoting the aging process, and a broken mirror for bad luck. Make sure whatever you devise that it arises naturally from your story. Some critics scorn the use of symbols as artificial and pretentious, but others agree they make for a satisfying ending if used well. This entry was posted in Chistian writers, Christian fiction on August 4, 2013 by Judy Bodmer. Editors and agents receive numerous manuscripts in their inbox. You have seconds to grab their attention with a stunning opening line. Here are ten ways to take yours from the mundane to the exceptional. Settings are another way to begin—but keep it short and vivid. Grab the reader by describing the landing of a 747 or some other unusual technical device. Put your character in immediate danger. Try catchy dialogue but keep it short. Reader doesn’t know who is talking until you tell them. Openings are contrived but done so skillfully they don’t appear that way. This entry was posted in Christian fiction on July 27, 2013 by Judy Bodmer. Excitement builds. Launch date for your book is two or three months away. Now it’s time to begin marketing. But what can you do to get your book noticed by readers? Here are tips from successful authors and marketers. Prepare a 15 second pitch. Professional marketer MicheleTennesen says, when someone asks about your book, you want an answer that makes them go, “OH! I want to read that.” Practice until you have a couple of lines that sizzle. Find a story behind your story. Internationally recognized historical novelist Jane Kirkpatrick discovered people are interested in the story behind her fact-based tales. That’s what she communicates to her diverse audiences. She finds this makes for multiple speaking engagements, which sells her books in the back of the room. Do giveaways on Facebook. Everyone does book giveaways, but think about doing one of an item related to your book is the advice of author Kate Lloyd. She offered an authentic Amish quilt that attracted attention to her Amish novel. Partner with your marketing team at your publishing company. If you have resources, tell them you’ll spend $2,000 on your publicity campaign, suggests Tennesen. Then they can hire a marketing company to partner with their marketing department. Author Kate Lloyd says if you have the funds hire a marketing company yourself. They are well worth the money. You can pay by the hour, month, or a flat rate. Here are a couple of professionals: Wynn Wynn Media, Michele Howe Tennesen. They can do a myriad of things to fill in the holes of your marketing plan. Market your book every day. If marketing feels frightening or uncomfortable, Kate Lloyd suggest treating the task like a new adventure. She’s currently developing a blog, something she thought she’d never do. Do a blog tour. Lynette Bonner one of the most successful authors I know at using social media says she elicits 15-25 bloggers to guest her for one day. They post her picture and one of her book cover, give a description of the book, and if they’ve read the book, do a book review. Do interviews on the Internet. 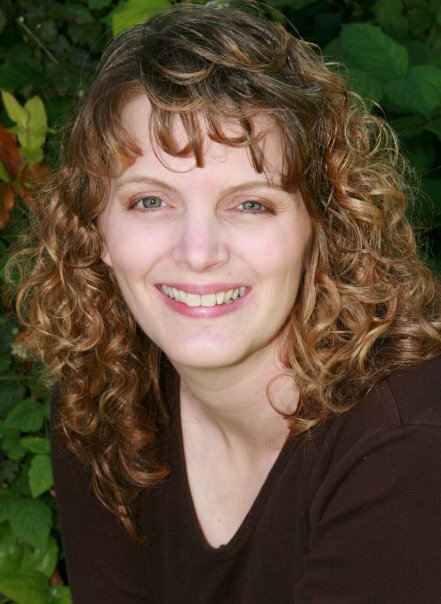 Award-winning young adult author Janet Carey does blogger interviews. She says they take time but are well worth it. She also says to get lots of ARCS (advanced reader copies) and do book giveaways. Don’t put off your marketing. Tennesen gave this last bit of chilling advice with the reminder that a book is considered old after it’s been out three months. This entry was posted in Chistian writers, Christian fiction on March 18, 2013 by Judy Bodmer. 1. Buy her book. I can pre-order her book through Amazon.com or Christianbooks.com, or both. Publishers notice how many people are preordering a book and this helps the author. And by buying her book new, she gets a royalty. 2. Buy her book as a gift. I already know of friends and relatives who will enjoy Kate’s novel. I plan to buy it for them as either a birthday or Christmas gift. I’ll have Kate sign her book, which makes my gift even more special. 3. Face her book out at bookstores. Whenever I stop in at my local Christian book store or Barnes & Noble, I check to see if her book (and other friends’ books) is on the shelf. Then I face her cover out, helping the next shopper notice her novel. 4. Order her book. If I can’t find her book, I ask the employees where it is. This draws their attention to her name, and title. If they don’t have it on the shelf, I will ask them to order it. I’ll also inform them she’s a local author. I’ll tell them how much I loved her last book, Leaving Lancaster, and tell them how much I’m looking forward to reading her new book. Bookstore employees can’t know all the books they carry, and this will help them find a new author they will appreciate recommending to other readers. 5. Review it. After I’ve read the book, I will leave a review on Amazon.com, BN.com, Goodreads.com, and Christianboods.com. I will be fair and honest. Five star reviews sell books. Someone said I should also “Like” her books on Amazon.com. This will help with linking her book to others similar to it. This helps other readers find her Amish fiction. 6. Reserve a copy at the library. As a former employee at the public library, I know that if someone requests a book, the library buyer pays attention. The more a book is checked out, the more likely they are to purchase more of that book. One of the best things I can do for my friend is to request her book from my local library and tell the staff that works there that she’s a local author. 7. Talk about her book on Facebook. When Kate’s book comes out, I’ll mention it on my Facebook page. I’ll link to her Website and also to places where people can buy it. Pictures help sell, and so I’ll make sure I have the cover in my picture file. If she does giveaways, I’ll pass the word along to my friends. None of these things take a lot of time, but they will help my friend sell her book. You can do the same for your friends and in return when your book is published they might do the same for you. Maybe you have ideas of your own. What would you add to my list? Please comment below. This entry was posted in Chistian writers, Christian fiction, Christian living on February 6, 2013 by Judy Bodmer. Life hasn’t been easy for Jeanne Bettencourt, a widow approaching thirty and struggling to provide for her eight-year-old daughter. But hope arrives in the form of the Helena Rose, a steamboat she unexpectedly inherits from a distant, departed relative. Jeanne’s father had captained a similar vessel and taught her how to pilot a steamer along the banks of Memphis. She’s looking forward to a renewed livelihood on the mighty Mississippi. However, as plans are made, news comes of another heir to the Helena Rose – a tough man named Clint Hardin — and a clause in the will that says claimants of the estate must live aboard the boat. Jeanne, a Christian woman, makes it clear she won’t stay with a man who is not her husband. But both are desperate for work, so they agree to keep their distance as Clint occupies the lower deck and Jeanne takes the captain’s quarters. As they restore the Helena Rose, the slowly softening Clint becomes attracted to Jeanne — who is now being courted by a wealthy plantation owner. With her family and future at stake, the desires of Jeanne’s heart are duly complex. Only her simple faith can navigate her through what’s about to happen. Gilbert Morris is among today’s most popular Christian writers, his books having sold over seven million copies worldwide. A former pastor and English professor, he specializes in historical fiction and won a 2001 Christy Award for the Civil War drama Edge of Honor. Morris lives with his wife in Gulf Shores, Alabama. What is your writing method? Do you write in the morning? At night? All day? How long do you write in a single session? I have no set schedule for writing a novel. While I am working on it, sometimes it goes easily, and I just pour on the coal. If it goes badly, I have to spend more time on the text. Naturally, I love it when the words seem to flow! How do you do your historical research? I think it can be easy to do too much research, just as it can be a mistake to do too little. Some writers are so anxious the give the historical background, that they forget the story. My own problem is to do a good job with research and with the story. How do you manage to keep your dialogue true to the time period without allowing it to sound stilted? Reading a great deal of Dickens, for example, will carry over into the writer’s work. There is a danger that all of a writer’s characters will sound alike, which makes for bad fiction. I always try to find some characteristic that will set a character apart, perhaps bad grammar or a pronounced regional accent. You used to follow the same storytelling technique of the late Sidney Sheldon—told your stories on tape to get the rough draft down, and then had them transcribed to start your writing process. Are you still using this technique for your current books? Yes, I do dictate all my books. I take the outline and the list of characters, and put each chapter on a cassette. Then I have a lady take the tapes, type them out, and send them to me. Of course, when I get the hard copy, that’s usually when the hard work of revision rears its ugly head! My daughter Lynn, who has written some fine novels, helps me with this stage, for which I am profoundly grateful. In many of your books, you feature a strong female main character that suffers from flaws and weaknesses. Why do you write about women in this way? I try to give all characters, both male and female, young and old, flaws and weaknesses. That is human, and if a character is perfect that is totally unbelievable! Look at the great classic novels by the great novelists. All of them set forth characters, who, in one way or another, are flawed. It is the job of the novelist to dramatize the characters as they attempt to overcome these flaws. Your novels have a number of female characters with red hair and green eyes. Is that based on a real person? Got lots of red hair in my family, so I always like redheads! No green eyes. I just get tired of trying, in a book with forty characters, to give them eyes that differ. Blue, brown, green. What other colors can eyes be? I did say of one shady character, “He had eyes the color of spit.” Now, really, that character had to be evil! What fascinates you most about 1850s Mississippi? It was a dramatic time in American history. The Civil War, the rise of modern transportation, the beginning of our industrial growth. How did you decide to set your story on a steamer? When I was a boy, I lived for a time in Helena, Arkansas. 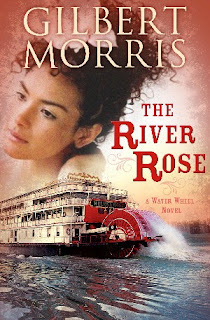 The river then was still thick with the sternwheelers, and I would sit for hours on the bank of the river and watch them, and riding on one was a thrill. When you’re writing a series such as the Water Wheel series, how do you decide which characters to carry over into the sequels? I usually make this decision before I begin the first novel in the series. Some generational sagas lend themselves to stepping from one book to another, others I like to confine to one book. I have a signed a contract to do a trilogy about San Francisco in the 1850s. That opens up the door for a family to go through (1) the gold rush of 1849, (2) the rise of rich people and how they are brought down, and (3) the earthquake and how the family survives and strengthens. What book project are you working on next? I am working on Book #2 of a series called Western Justice. These three westerns are set in Oklahoma Territory shortly after the Civil War. Judge Isaac Parker had 200 marshals to keep order, and many of them were killed in line of duty. The most famous of these is Heck Thomas, but if you’ve seen TRUE GRIT, you get the flavor of the series. Romance, action, Christian doctrine! What is the one thing that you want to leave readers of The River Rosepondering over? As in all my books, I want my readers to see how vital it is to serve God no matter how difficult that might be. Do you have a long-term plan for your novel writing? Are you planning to retire, or can we eagerly anticipate dozens more Gilbert Morris stories? I am working on three series at the present time. One will deal with the men and women who serve in different branches of the service. Another is the second novel about a young woman, Jordan Lee, who serves in the military, then in the House of Representatives. The work I most enjoy is a series of mysteries featuring a man and a woman—and two cats. I’ve written three of these, and have had a blast! They are my favorite novels. The next one will be entitled Desperate Housecats. And no, I will never retire! I received a complimentary copy of this book for review from B&H Publishing Group. I was not required to write a positive review. The opinions I have expressed are my own. I am disclosing this in accordance with the Federal Trade Commission’s 16 CFR, Part 255. This entry was posted in Christian fiction on July 20, 2012 by Judy Bodmer. Do you remember the song from Finding Nemo that Dory-the-crazy-blue-fish kept singing? Yeah, publicity is a lot like that. You just need to keep at it. Sometimes you will feel like you are the only fish swimming upstream, while everyone else is swimming down, but you just need to keep swimming. Keep pressing on. Keep putting yourself out there – but make sure you are swimming in the right direction. I read several agents and publishers blogs and I can’t tell you the number of stories I’ve heard about an agent or publisher being interested in an author until they went on a Google hunt and started discovering some things the author had said. Put yourself in an agent’s shoes for a moment. Let’s say they get two promising queries. Query A is from Suzy Sweetwater. She always has nice things to say on her blog about the industry, agents, and all things publishing. Query B is from George Grumpypants, who is constantly griping and complaining on his blog. Which person do you think the agent is going to request more information from? Of course it is Suzy Sweetwater because the agent doesn’t want to risk the fact that they might be a subject of one of Mr. Grumpypants’ tirades in the future. Not to mention that any future publishers will probably also check him out and the bad attitude might prevent them from offering a contract, which will keep the agent from getting paid. Now this doesn’t mean that you have to say nice things about something that just drives you crazy. But the old adage “sometimes it’s better not to say anything at all” will serve you well. And if you just HAVE to say something, make sure that you say it in a respectful, thought-out way, or it just might come back to haunt you. These principles apply whether you are brand new to the industry, or have just signed your 20th contract. 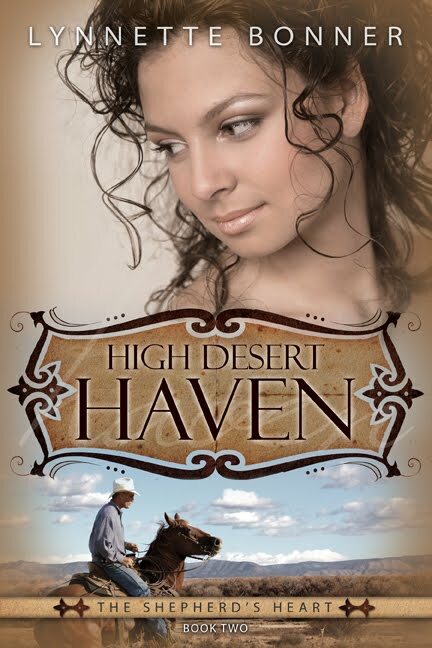 Lynnette Bonner has a brand new release, High Desert Haven, a Christian historical romance. She would be happy to give away one electronic copy of the book to a commenter on this blog post. The drawing will be held Monday, April 16th. To enter the drawing just leave a comment about one policy you have for being careful on the internet. Below is the back cover copy from the book. Is Jason Jordan really who he says he is? Everything in Nicki’s life depends on the answer. Nicki Trent is left with a toddler and a rundown ranch when her husband dies in a mysterious riding accident. Determined to bring her ranch back from the brink, Nicki hires handsome Jason Jordan as a manager. But when her neighbor, William, presses for her hand in marriage, the bank calls in a loan she didn’t even know about, and bullets start flying, Nicki questions whether this ranch is worth all the trouble. To make matters worse, terrible things keep happening to her neighbors. When Jason is blamed, Nicki wonders how well she knows her new hand…and her own heart. Two yearning hearts. Powerful enemies. Surprising love. Set in the adventure and danger of the Wild West. This entry was posted in Christian fiction on April 13, 2012 by Judy Bodmer. There are numerous ways to create a believable, unique character. One is to fill out a character chart. By the time you have answered all of the questions below, you will know more about the key players in your novel than you know about your friends. This chart should also help trigger some plot points. Meaning of name. Reason parents named character. Nickname? As a child or adult? How do they feel about that nickname and how did they acquire it? Any scars or birthmarks? How did he/she get the scar? How does he/she feel about their face and body? Where were they born? In what city? Specific details, if important. Where do they live now? Why? Education: Level of school finished. How did they fit in at school? Favorite teacher. Favorite memory. Most embarrassing moment. Friends. Enemies. Occupation(s): How does he/she feel about job? Have he/she lived up to parents’ expectations? Marital Status: Married? How long? Happily? Living with someone? Who? Single? Children? Status of marriage. Spell out relationships. If children, spell out names, ages, etc. Parents: Write out a paragraph about relationship with parents. Siblings: How many, relationship with each. List any other important relative and influence on character such as grandparents, aunt, uncle. List childhood traumas, moments that shaped character: arrests, rejections, failures. Describe greatest fault: anger, unwillingness to confront, etc. Describe greatest strength: ability to keep a secret, loyal, trustworthy, etc. What does he/she do for entertainment? What kind of food/drink does he/she like? Does he/she have any pets? As a child? Any quirks? Admirable traits? Negative traits? Bad habits or vices? How about prejudices or pet peeves? Religious beliefs. Write out his/her testimony. Opinions on politics, environment, crime, gun control etc.? Long term goals/short term goals. What major problem does he/she have to solve or overcome? What character growth will there be by the end of the story? What lessons will your character have learned? How will his/her life change by the end of the story? This entry was posted in Christian fiction on July 18, 2011 by Judy Bodmer.